Hello again, I hope you are all well? I haven’t been feeling too good at all over the last few weeks. I really don’t know if this is because I overdid it a bit when I repainted my bathroom last month or whether I just picked up a bug or something, but I’ve had a very unsettled stomach. Unfortunately this isn’t massively unusual for me. I had my gallbladder removed in 2010 and have had ongoing problems with bile acid malabsorption. I now take colestyramine every day (which has been something of a wonder drug for me) but I still get times where I end up with the same symptoms and I’m always left wondering why! Needless to say, I haven’t really been up to much and have spent most of my time at home trying to rest and recuperate. EC knew I was seriously fed up and suggested to me that I make some newborn baby hats for the labour and delivery ward at Hull Women and Children's Hospital, as they had just put out this request on Facebook for knitted newborn baby hats. 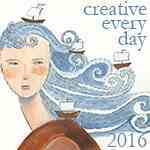 I thought this was a lovely idea! It was also quite practical for me to do as well. Each row doesn't take very long when you make such tiny things so it meant that I could just lie on the sofa and do a row as and when I felt like it (inbetween the bouts of stomach ache and nausea). I immediately set about finding a pattern I liked on Ravelry and came across this lovely blog Mamma That Makes. 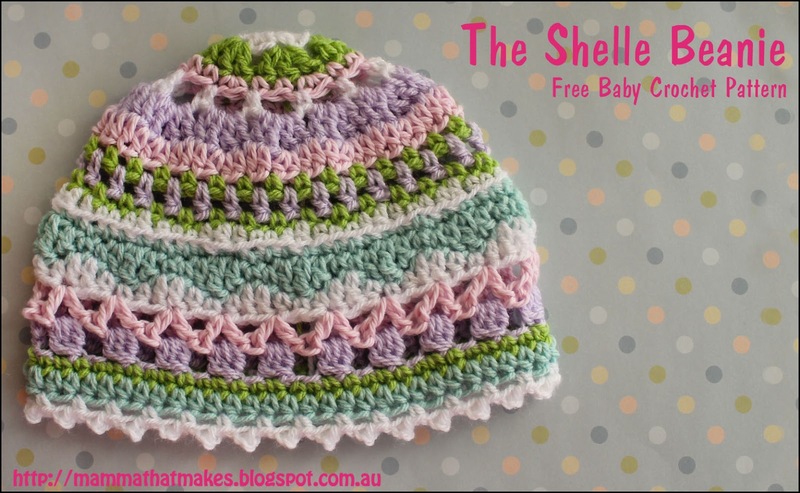 She has so many free crochet patterns, including lots of baby hats. 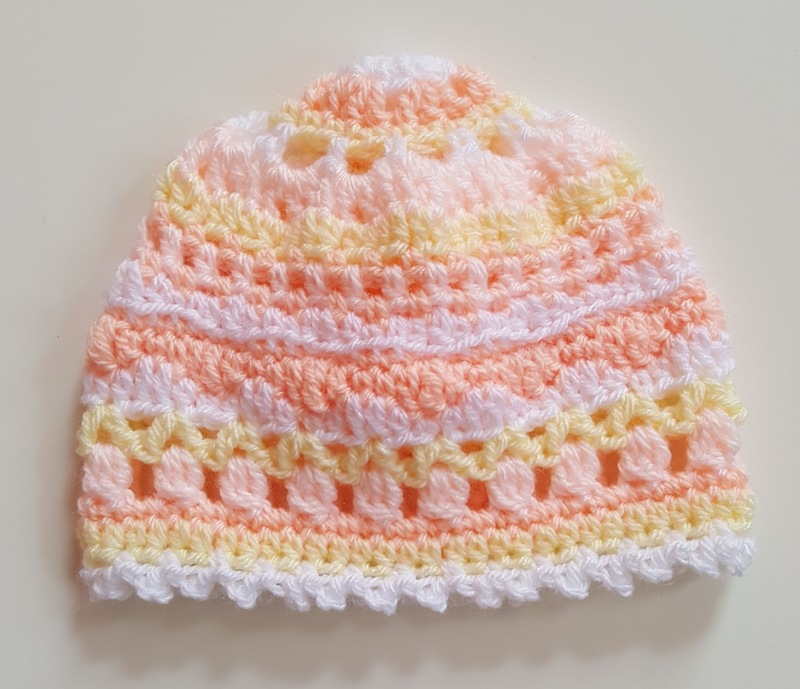 I honestly don't know why I haven't seen this blog before but I suppose that I don't really look at a lot of crochet patterns for baby things because I don't actually crochet them a great deal. 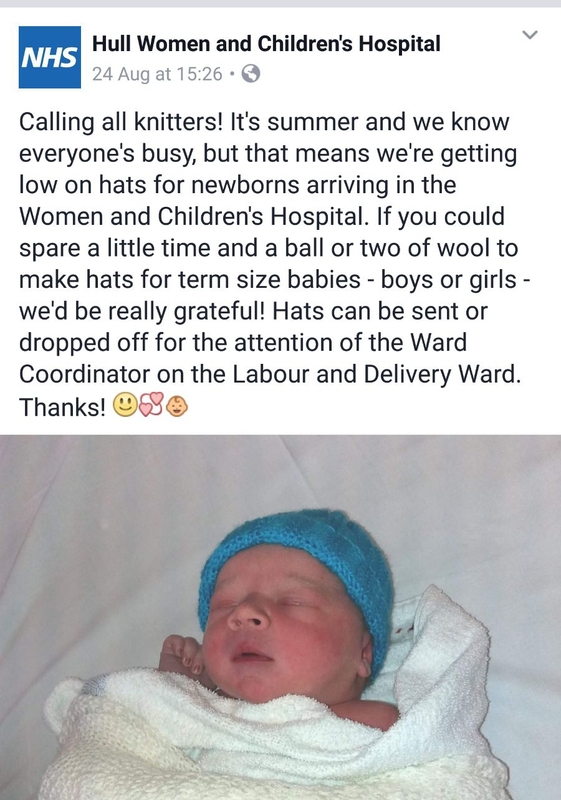 This is very different to EC who just loves making baby clothes and probably has most of the baby crochet patterns on Ravelry saved to her library! 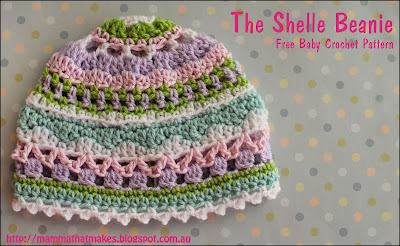 Anyway, I just fell in love with The Shelle Beanie as soon as I saw it and knew it was the right one for me to make! 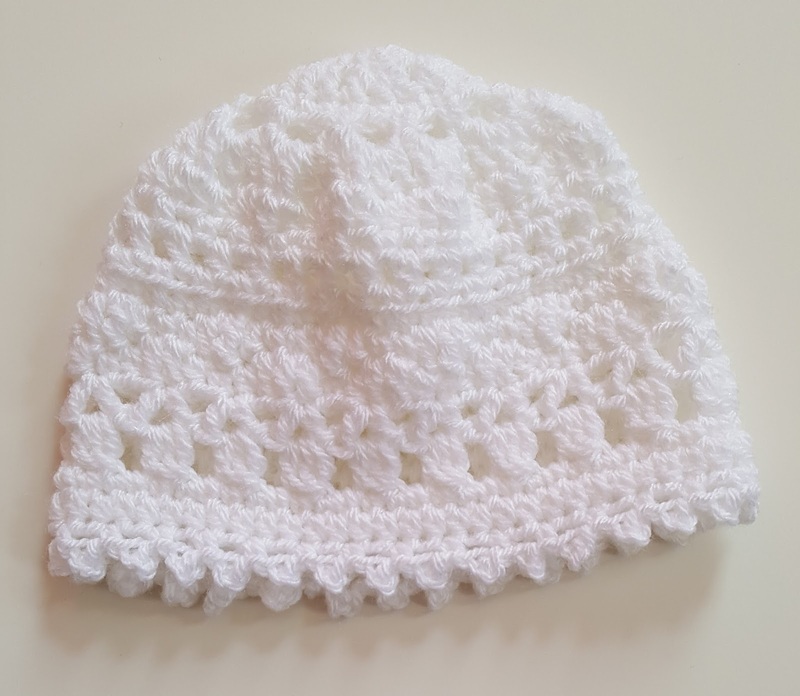 I decided to crochet the first one all in one colour to familiarise myself with the pattern. 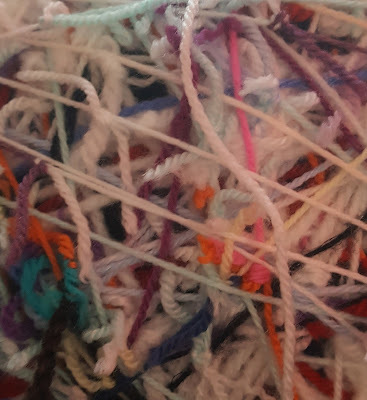 I've done a lot of mixed-stitch colourwork since I started crocheting and know that if you're struggling with a new pattern, a colour change as well as a stitch change on every row can really throw a spanner in the works. 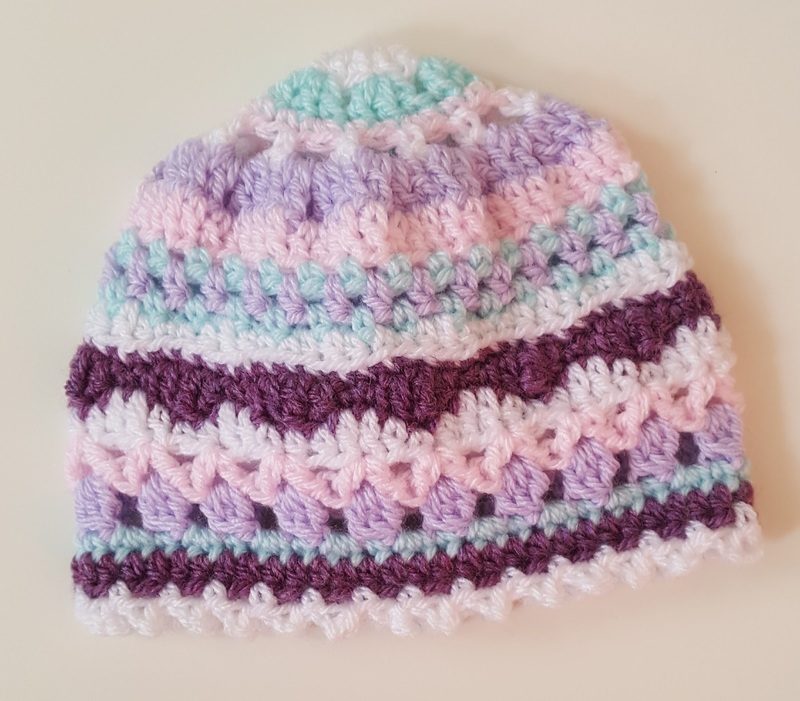 This pattern was really quite simple to make though and worked up quickly. I love how it has turned out to be so pretty and delicate-looking. I then started on the second hat. For this one, I tried to stick closer to the actual colours from the pattern although I didn't have any blue so I substituted purple for it. I think that it worked out OK and has a slightly Christmassy feel to it. I made my third hat out of some scraps of yarn left over from another project. I really like how the colours work in this one, but I do wish I'd added in a contrasting colour for those two blue rows in the pattern. Despite that, I think it's incredibly pretty! I am really pleased with how these turned out. 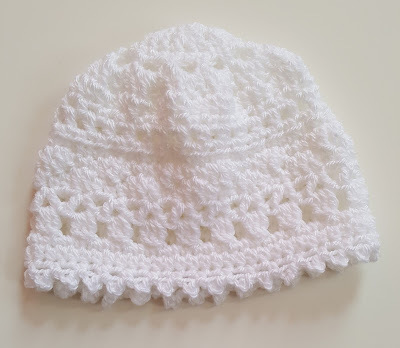 I was hoping to make a few more this week but they do take a while to crochet and the ends took me forever to weave in. I think i spent nearly as long weaving the ends in as I did actually crocheting it. 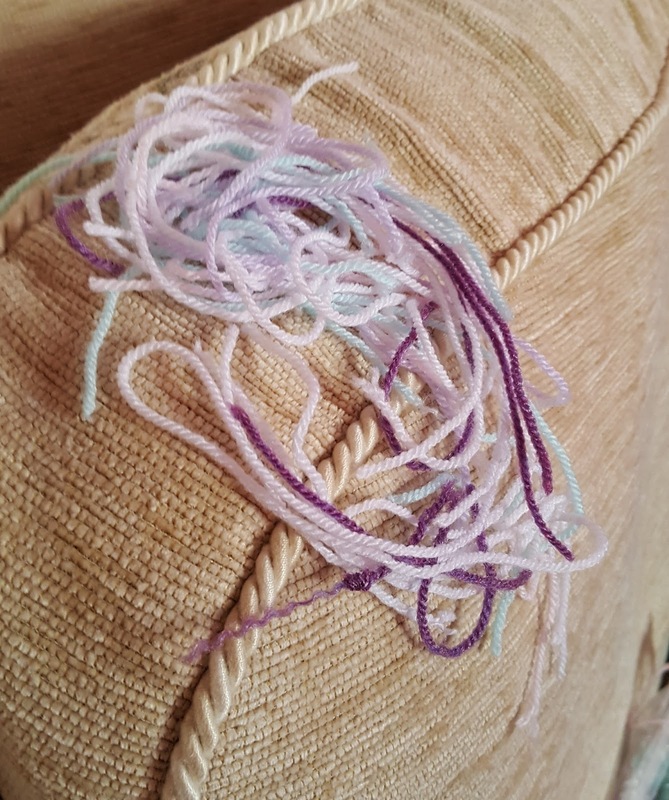 I didn't take any photos of the hats before I had woven in the ends, but this is the amount of ends left over from the second hat! None of these go to waste though as I still methodically add each little snippet to my scrap yarn ball. For those of you who haven't read my post about this, my scrap yarn ball is a ball of yarn which is made from all of those tiny scraps of yarn which are left over when I've finished a project. Each little scrap is carefully knotted to the next and added to the ball. It's developed into being a habit and I have to admit that I don't really think about it much anymore, or normally notice how big that the ball has got. Until today when I pretty much had to wedge it on the windowsill to take a photo. When I looked back at my old posts to see exactly how long ago it was that I had written about it, I was really surprised to see that this was in 2013. 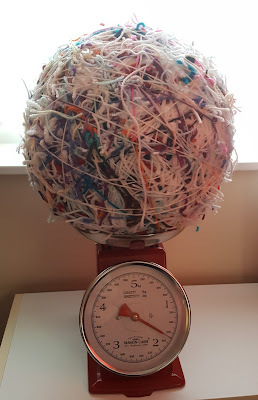 This means that I have been adding yarn to this ball over five years! It's not really any wonder that it is absolutely huge now. I got the scales out earlier just to see how much it weighs. 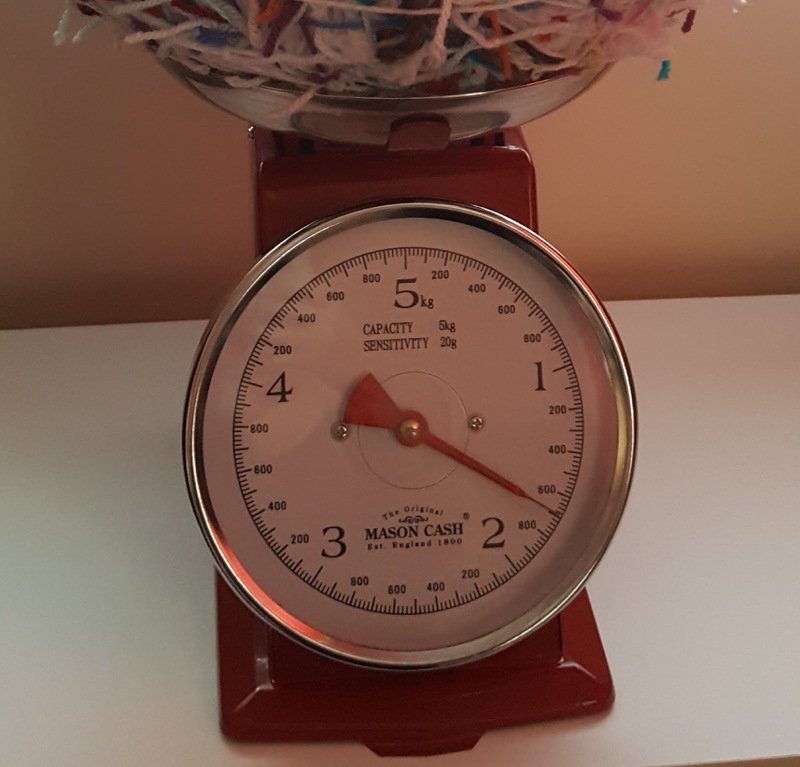 I wasn't really expecting it to weigh quite that much! Just in case you can't see that, it says 1.7 kg. I think that's quite a lot for something people would usually just throw away. I am hoping to make something with this at some point but it's actually quite difficult to decide what. In my imagination I can see me swanning around in some sort of cloak made from it, but realistically I know that this will never happen. I think that's partly because I suspect that it will be fiddly to make something out of this anyway (I'm thinking novelty yarns and sighing) but mostly because I know that I am nowhere near as cool as I would need to be to pull off a cloak generally, never mind one made from lots of different weight scrap yarn! 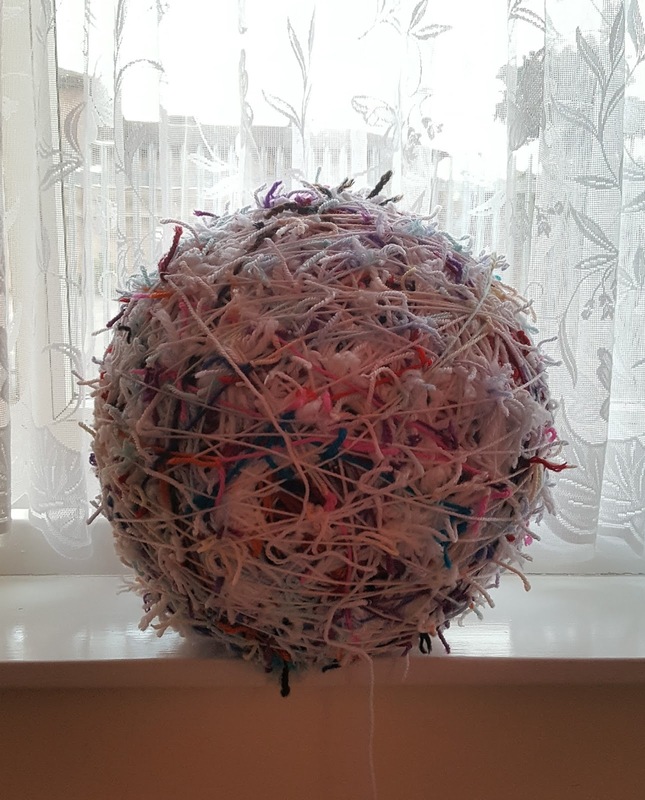 Your scrap yarn ball is getting huge as well and a cloak would be fantastic! You could always do some freeform crochet and make a wonderful coloured hanging!